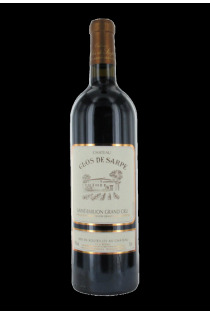 The Château Clos Sarpe is one of many small farms that are located in the Saint-Emilion appellation, which produce wines of excellent quality. After having being the property of Baron Foussat Bogeron, this field is in the Beyney family since 1923. Occupying a soil whose nobility was endorsed by the time, the small vineyard is treated in the permanent respect for nature. This approach finds its extension in the cellar, with a more natural winemaking.